As promised, we rejoined the Lady Titans Friday afternoon in a District 1 quarterfinal match-up with SOL Continental Conference foe, the North Penn Maidens. And we once again captured some great ladies softball game-action images and sports portraits featuring members from both teams. In our Lightbox Gallery below containing 28 highlight images, we’ve included several close-up, home-plate images captured from just beyond the center field fence (including the Lightbox Gallery “cover image”). It’s a camera angle rarely seen in high school softball photo coverage — so we thought we’d treat our viewers to some images captured from a different-than-usual vantage point. Enjoy!!! Even larger versions of these and other proof images have been added to the C.B. South Varsity Softball 2010 Season online proofing gallery. So be sure to check the gallery to re-live some special moments from the game — customized to the viewing dimension of your display! The Lady Titans now advance to the District 1 semifinals round on Tuesday, June 1st where they’ll face Coatsville. In addition, their 7-0 win over the Maidens assured the Lady Titans a berth in the upcoming PIAA State Tournament. Best of luck, Ladies!!! In just under 90 minutes, Central Bucks South and Spring-Ford completed an opening round contest of District One post-season baseball Monday afternoon. For both teams, the game was low on pitches and hits — attributing to the game’s relatively short duration. And the Titans lone run in the third inning was all they needed to advance to Round 2 this Wednesday at West Chester Henderson High School. Our Lightbox Gallery below features Titan highlights — complete with special post-processing to give each image a subtle “retro” appearance characteristic of a more nostalgic baseball era of simpler times gone by. Enjoy!!! For Titans team members, families and fans… check back soon for a C.B. South Titans Baseball 2010 Season photo gallery in the online proofing section of our website, which will contain these and additional game images. 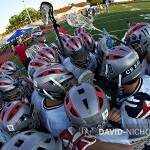 The Patriots edged Downingtown West by a score of 6-5 in Thursday evening’s District 1 LAX match at War Memorial Field in Doylestown, PA. Our Lightbox Gallery below features 28 images that highlight the intensity with which the game was played — and the excitement you’d expect to see as teams progress further into the tournament bracket. Central Bucks East now advances to one of the quarter-final matches scheduled for Saturday afternoon, when the Patriots will take on Garnet Valley at West Chester Henderson High School. Go E-A-S-T!!! Just when it seemed the Spring 2010 high school sports season was just getting started, many “regular season” schedules are now winding to a close — with some district playoff schedules already starting today (Tuesday). But it’s never too late in the season for a special Team Photo Day session with David Nicholas Photography & Design! 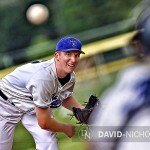 So we carved out a time-slot this past Saturday morning for Central Bucks East Baseball. Our Lightbox Gallery below features a selection of “sneak peek” preview images from the team’s photo session captured outdoors during late-morning — but our lighting/exposures for many of these images were carefully designed to give the impression they were captured during sunset/twilight. Class of 2010 Seniors… if you like what you see here, we’re always happy to schedule your photo session and incorporate a sports theme, before it’s time to retire this season’s uniform and equipment! All C.B. East Baseball “photo day” proofs are being posted to the C.B. 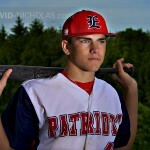 East Baseball 2010 Season photo gallery today, where additional online orders will be accepted. Please contact the studio if you have any questions. Last week we rejoined C.B. East Ladies Track during their North Penn meet, and our Lightbox Gallery below features C.B. East participants in the Pole Vault competition. 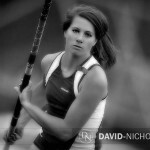 Images presented here are a combination of our “sports portraiture” images coupled with actual pole vault sequences and candids — all captured as we continue to bring our client community a blend of professional portraiture and the finest in sports photojournalism. Enjoy!!! These and other additional images from various event competitions at the North Penn meet — including hurdles, relays, and the long jump — will be posted soon to the C.B. East Ladies Track 2010 Season photo gallery, located in the proofing section of our website. We’ve enjoyed bringing our world of image-making to C.B. East Ladies Track this season, and we wish these talented athletes the very best during their upcoming, “post-season” Track and Field events — including league, district and state championships! Good Luck, Ladies!! !